Car Shopping – Heaven, or Hell? I have purchased 2 new cars in the past few years in totally different ways. As part of my continuing coverage of car stuff for Toyota, I’d love to hear about how car shopping is for you. I know that most people – and especially women – hate it. When I bought the BlueMobile, I did the worst thing possible: I fell in love with a particular car and just had to have it. Big mistake if you’re trying to save money. My problems were compounded by wanting a car (Honda Fit) that was in short supply in the United States, since it was brand new here. I got the exact car I wanted, but I paid full price. …and I needed a new car, I was under pressure. I was driving my mom’s 1994 Lincoln Continental Land Yacht and I felt SO UNSAFE in that car. Part of it was a slight case of PTSD from having just been accordioned on the freeway. The other part was that, in safety years, 1994 was a century ago. A big slippery bench seat, no head restraints, one ancient airbag and a seatbelt that only worked about 70 percent of the time…I felt panicked every time I had to drive that thing. Fortunately, I had the internet on my side. I did massive research on edmunds.com, cars.com and on car websites to narrow down the cars I wanted to look at to about five small hatchbacks. The hatchback was for the dog, naturally. I had to have a car that worked for her. She runs my life. The small was for me. I feel some responsibility for trying to keep my carbon footprint smaller by driving a small car. I went out and test-drove the cars, which was kind of a bizarre experience. The salespeople were generally so low-key that I felt like they some of them weren’t even trying. They were the anti-high-pressure salespeople you always hear about. One guy at the Kia dealership did not say ONE WORD to me during the test drive. I hated the car (the Kia Soul), but even if I had loved it, I wouldn’t have bought a car from him. I didn’t get to drive a Toyota Matrix because the local dealership didn’t have any. It was a month after the Japan earthquake and things were a little weird with the Japanese car supply (yes, I know many Toyotas are made in the US). The 2012 Ford Focus was not yet available, though I visited 3 dealerships at least 5 times trying to find it. I drove another Honda Fit, of course, and thought it was a fine option. My favorite car was the Mazda 3, which was so sporty and fun to drive – but it was comparatively pricey and the gas mileage wasn’t great. But in the end, the Hyundai Elantra Touring won. I hadn’t even considered it originally but a very competent salesman at the Hyundai dealership went out of his was to make sure to call me when they got one in. He figured out what car would suit me best after showing me everything on the lot. They didn’t have an Elantra Touring the day I was first there because they were in short supply, but they got 2 in about a week later, and he called me to come in for a test drive. I’m not super keen on how it looks, especially the color, which I haaaaate (silver cars are my least favorite). I think the style is pretty dull, though my BFF CC keeps telling me how gorgeous she thinks it is. For the price – around $20,000 – it has great features (leather, sunroof, nice wheels, Sirius XM) and a 10-year powertrain warranty, which is ultimately what sold me. I pre-arranged financing with my credit union and also joined Costco to take part in their buying program, which made me feel comfortable I was getting a good loan rate and a good price. So for me, I felt like the internet was my best friend in car shopping. A good credit rating didn’t hurt, either. I am such a big dope that I could never walk in not knowing what I was doing and attempt to grapple with the salesperson/sales manager and hope to get what I wanted at a decent price. After my experience test-driving all of those Toyotas the other day, I have a new fantasy – some kind of test-driving facility run as a co-op between all the car dealers without salespeople, but with all makes and models of cars to test, side-by-side, one after the other. No pressure, just a way to directly compare cars. Will someone please make that happen for me? So tell me about your best or worst car shopping experience. I’d love to know. We decided to buy our older son another car and pass his old car down to our soon-to-be-16-year-old. I stayed out of this process. My husband decided it should be a new car and they test drove Toyota, Hyundai, Honda, VW and I don’t know what else. Actually, they never actually drove a Honda because the could-care-less salesman kept pointing them to some high-mileage used car instead. The car they decided on was a VW Jetta TDI. The Santa Barbara salesman didn’t care much about talking to them when they were in the searching phase. They went to the Santa Maria VW dealer and found a terrific salesman, Blake Cull. I will sing his praises because he answered all their questions, let them drive around as much as they wanted, and when they decided on THE car (which had to be special ordered) he was so patient and helpful during the waiting time. I have also had a decent experience with Lexus of Oxnard using the Costco pricing. 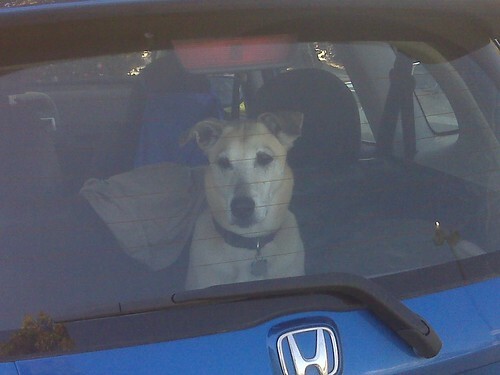 Hughes in Santa Barbara (a Honda 30 years ago and 3 — why did I keep going back? — Volvos later on) has been the worst. And that doesn’t even include their horrible service, where every problem had to be taken in twice, and when they fixed a transmission leak they apparently didn’t refill the fluid and the transmission subsequently blew up. Phew, thanks for letting me get that off my chest! Thanks so much for the story! It’s always so interesting to me to hear what others have been through. The right salesperson can make all the difference – as can the wrong one! My daughter’s Focus Wagon got smushed recently (all 3 kids in the car, everyone is good) so she recently went through the whole buying fiasco. her problem was needing something that could “comfortably” fit 3 car seats in the back without going to an SUV. She tried the PT Cruiser, Toyota Matirx and a few others but settled on and now LOVES the Honda Fit. Every time I see it, I think of you. 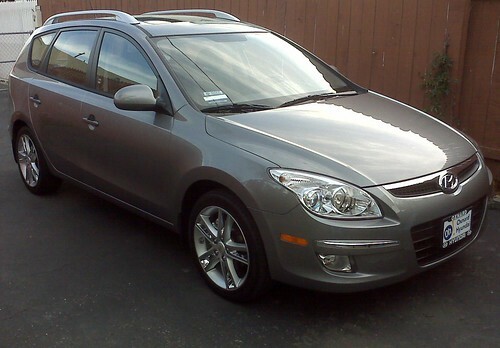 Ps She went through CArMax, we have bought 3 used cars from them over the years and always feel very well served. Man, that’s scary, but I’m glad everyone is ok. 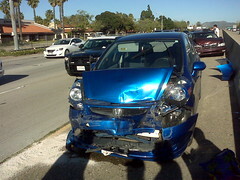 I still miss the Fit sometimes, but I honestly feel like that car had a curse on it! Weird things kept happening! Both of our new car shopping experiences (first in 2006 when we bought our Honda Element, then last year when we bought our Fit) were very similar to what you describe. We used the Internet to narrow our options and figure out what we should expect to pay, got financing pre-arranged, and then went to a few dealers to test drive. We loved the Mazda 3, too, but didn’t think it was worth the extra cash over the Fit. I think I should get some kind of commission from Honda for all the Fits! I think pre-arranging financing is huge. That is such a common way to extract more money out of you. A lot of people don’t have a choice, though. My friend’s husband has a side business where he does all the car shopping work for you. You tell him what you want and how much you’re willing to spend and he finds you the best deal. Since Chris is no longer with me, I’ve had many friends say “For The Love of God, Cindy. Please get yourself a reliable vehicle”. There’s something practical about doing that right now. I plan on taking full advantage of my friend the car shopper. That sounds like a fun business. I think I’d love it – for some reason, advocating for a customer would be easier than doing it for myself. When I was in my late 20’s I went to purchase my first vehicle on my own – no Dad, brothers or boyfriends. I pretty much knew that I wanted a Ford Ranger – I don’t remember the reasoning why but at the time, it seemed like the right thing. The salesman at the first dealership I went to actually said to me – Why would a pretty little thing like you want to drive a truck? and proceeded to try and sell me a mustang or any other car. I thanked him for his sexist views (yes I actually said that) and left. I eventually found what I was looking for and loved my truck until my roommate graciously totaled it for me – a week after she totaled her own car – yes I should have known better. Since then things have been smooth sailing but that is mostly because we have a good friend who owns a dealership and he takes care of us! Why can’t car salesmen just learn to shut up and find out what the customer wants? So many people at Toyota camp had had sexist or weird experiences. Your roommate sounds like someone who should take the bus! I have never shopped for a car. My parents made weird back alley deals for the second hand cars I drove as a teen. I moved to NYC for college and only briefly had cars here that were handed down from my parents. There’s been no need for me to have a car since. Hi, Kizz! I lived in NY for a while,and didn’t learn to drive until I moved out of the city, when I was 25. I grew up with a dad who could buy used cars from his company fleet after they were 3 years old, so we always had massive sedans and red trucks. I believe our family owned 13 red trucks over the years. I love car shopping. I’m, just weird that way. If I’m not under pressure, I can take months to research a car and get the best deal and the best price. But…We now own two Honda Fits. The first is mine. When our son went to college, we decided to downsize and sell my old car, and I drove the ’99 VW Passat we bought for him. It was kinda a junker, but it was OK. My husband conned me into going along for a test drive with him, and I liked the Fit. Then….some 4 months later…..after he’d had our credit union auto loan people find the EXACT car, he sprung the surprise on me. Second Fit – my husband had a Ford Fusion Hybrid. We loved it – but it caught on fire and burned up. (Visit my blog for the story, August 2011). We rented a Prius while the insurance was pending, and my husband drove my Fit. He loved it so much that when our payment came in, he bought one. I loved the Ford – but because the earthquake, just like your matrix, they were in short supply. The Fit was a good buy, and we needed one right away. We had the luxury of a long shopping term for my Fit, but we were in a pinch for his – and it was a good buy. I saw the car fire posts…that was scary. I did love my Fit. Despite the gypsy curse on it…It really performed well under the worst possible circumstances (sandwich crash on the freeway) too.